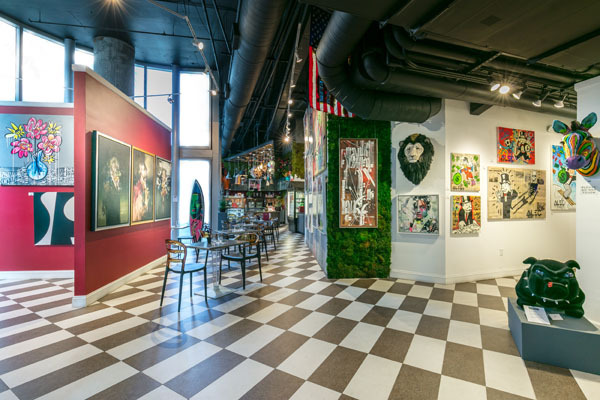 Avant Gallery and LaMuse Café fuse together to create a contemporary creative outlet inside the luxurious EPIC Hotel in Downtown Miami. The melding of art, photography and sculpture with appealing dishes from the creative Chef Arthur Arnaize, make LaMuse the ideal space for creative minds, as well as eclectic and quirky souls. Owned by Dimitry Prut, this year, Avant Gallery will be celebrating it’s 10 year anniversary. Avant Gallery is a vibrant space, which showcases emerging and mid-career artists of all ages, nationalities and histories. The mediums that greet you upon your abrupt entrance include contemporary art, lighting concepts above the pastries, design, sculpture and collectibles. Visitors will be encouraged to release their artistic freedom and intellectualism with accessories like assorted pendant lights hanging from the ceiling or the beautiful details of the artwork on lamps that stand beside tables or the subtle touches of green shrubbery to evoke a magical fairy garden image while you dine. The black-and-white checkered floor is the perfect consistent piece, which ties in well with the quirky accents and artistic portraits hanging on the wall. 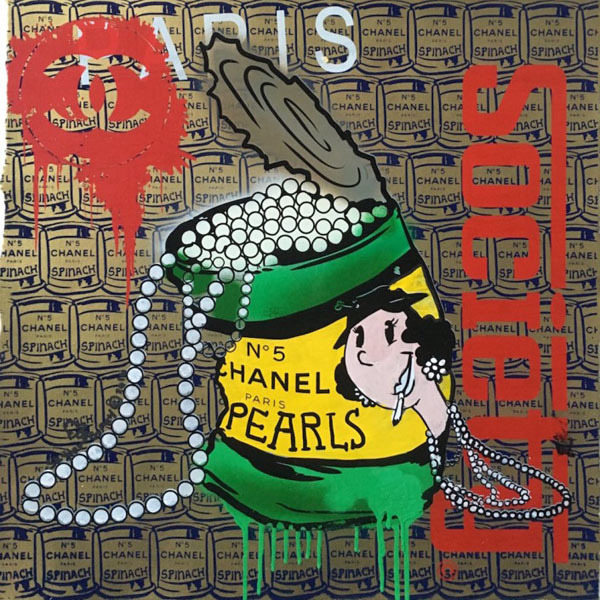 Los Angeles based graffiti artist, Alec Monopoly introduces a piece of himself in the ornamental space, much like other talented artists like Argentinian artist BNS who is renowned for pulling pop culture memes into a delirious burst of color and dry humor. In terms of food and beverage, LaMuse is not one to fall short for creativity with their offerings to customers. Guests can expect to indulge in snacks and plates such as Dora’s Deviled Eggs, with caviar, crab meat or lobster. In the tartines section, choose from avocado and chia with sea salt, pepper and honey or the butternut squash with ricotta cheese, which is a popular choice. A crowd-pleaser would have to be any of the Original CroSubs, or croissant sandwich. Options include the Italian Tuna CroSub, the Cuban CroSub and the Rocky CroSub, served with a side salad, and sweet and beet veggie chips. Avant Gallery and LaMuse Café is every artists muse, with inspiration hanging from wall to wall, any and all visitors will relinquish a side of themselves they may have never seen before. The space is bound with creativity and expression making it the perfect place to indulge in healthy choices and intellectual conversation.